The following is opinion based on the logic outlined in the following narrative. 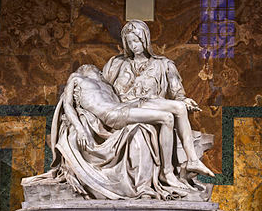 Tradition holds that the only time Mary cried out was when Jesus was pierced in his side by the centurion Longinus. 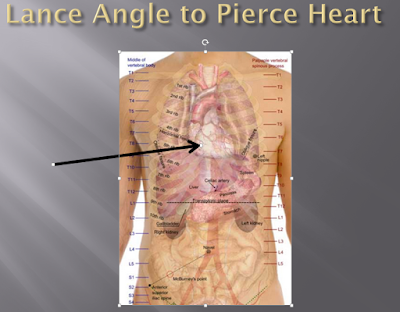 Studies of the shroud indicate that the lance went in between the fifth and sixth rib and pierced the pericardium which caused a minor explosion as the pericardium would have been under pressure (like a water balloon bursting). The fluid from the heart and lungs exploded both out the entry wound in the side and up the esophagus and out through his nose and the open mouth. Jesus died of traumatic shock. That is when the alveoli (the cells that transfer oxygen from the air into the blood cells) in the lungs burst, it fills the lungs with fluid (called edema or plueral fluid). Traumatic shock is the body’s self destruct mechanism in response to torture. The extent of the pain was so great that so many of the alveoli had burst that both lungs filled with pleural fluid (cell tissue). There were not enough alveoli left to provide sufficient oxygen to the brain. The natural reflex when we can’t get oxygen is to open the mouth to get more air. On the Shroud we can see that Jesus’ mouth has been shut and his eyes closed with something placed on each eye. When the image on the shroud is overlaid with the stains on the sudarium, except for the fact that the mouth was open when the stains were made on the sudarium (drop the lower lip to the unstained area); it is clear that the predominant flow of fluid is to the left side of his face and actually upward! It needs to be noted that there are two distinct stains. The first indicated by the dark stains around the nose and mouth. These occurred earlier and are darker because they they had different ratio of blood to plueral fluid (which would also indicate that the stain from the removal of the body from the cross occurred before the stain from the explosion of the pericardium). The earlier stain had also dried some before the larger lighter stain was formed. The larger stain is primarily pleural fluid coming from the lungs under pressure. It is likely that the first event occurred when Jesus was removed from the cross. As the abdomen fell against the shoulder of John, Nicodemas, or Joseph of Arimathea when the nails were removed from his hands, the compression of the abdomen would have forced some fluid up his esophagus and out his open mouth. The amount of fluid is predicated on the physical displacement created by the compression of the abdomen. The heart was not beating. Since Jesus was already dead in both cases the flow was only influenced by gravity. Jesus’s head could not have been vertical for the second event. It had to have been horizontal (actually tipped back) and turned to the left and then turned to the right. By looking at the shroud we see that the flow of blood and pleural fluid from his side wound is downward for only 6 to 8 inches (152 to 203 mm) and is primarily to the right and behind his back. When we look at the back we see the flow actually goes clear across his back and pools on his left side. That could only have happened if he was horizontal at the time his side was pierced! 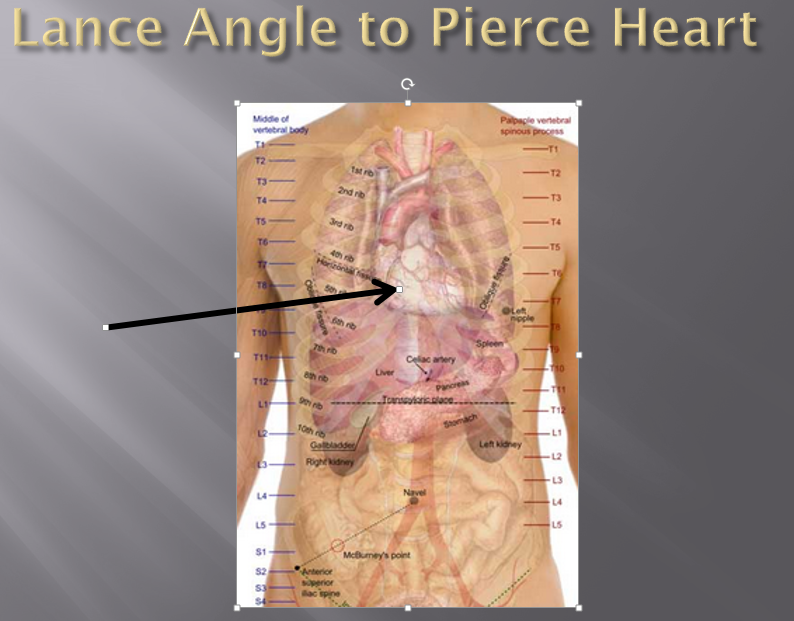 With a look at the anatomical figure of the body (shown below) we can see the direction the lance had to follow to pierce the pericardium when entering between the 5th and 6th rib. Remember that Jesus was almost 6 feet tall and his feet would have been at least a foot off the ground as he hung on the cross which would have put the 5th and 6th ribs at least five feet off the ground. For the centurion to have pierced his side he would have had to hold the lance with both hands and stabbed at a level equal with his own head. The average man of the time was just less than 5’ 6”. Why would a professional soldier have done that when the entry of the lance from below the sternum with an upward blow would have been much easier and much more accurate? It should also be noted that Roman soldiers were all trained to fight right handed. The Roman legions fought in a tight formation which required all to fight right handed. 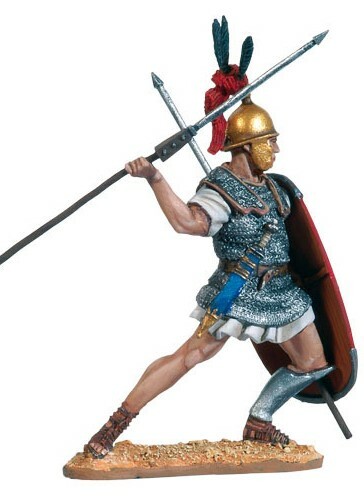 Since the lance wound is on the right side it is extremely awkward for the centurion to have made an accurate thrust if Jesus was still on the cross. A right handed soldier would have put the lance into Jesus’ left side or up under the sternum. It is inconceivable that with that much fluid none of it would have flowed vertically down his stomach and onto his legs or down his back and onto his legs. The fluid was life blood and would not have been washed off. It is more likely that the blood on Jesus right arm came from the side wound and was what stopped the downward flow of blood. 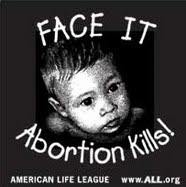 The arm was laying across his body as He lay on his mothers lap. But if Joseph and Nicodemus had already removed Jesus from the cross and laid him in his mother’s arms slightly turned to his left toward her body with his head turned to the left toward his mother and tilted back, the blow would have been the natural one on the right side and the result would have been exactly what we see on the shroud and the sudarium! If Jesus was no longer on the cross breaking his legs would not have caused his death. Breaking the legs of the other two on the cross will accelerate their death from torture since they can’t avoid putting weight on the broken legs; thereby greatly increasing the level of pain on an on going basis. If one is not on the cross breaking the legs will hurt but if held immobile the pain is manageable. The centurion could not see Jesus’s face since it was covered. 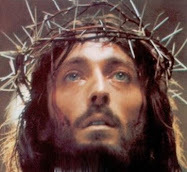 He either would have to trust that someone gave them permission to remove Jesus from the cross, as he was known to be dead; or suspect that maybe Jesus’ friends simply covered his head when he lost consciousness and then removed him from the cross with the intent of nursing him back to health later. A centurion was not going to take any chances. His instructions were to make sure they were all dead. Breaking legs is only fatal if you are on the cross. He had to pierce Jesus’ heart. We are left then with the objection that in John’s gospel it clearly indicates that Joseph of Arimathea went to Pilate after Jesus was pierced by a lance. But it was John’s gospel! John has no interest in the sequence of events. John is telling us first of the indignities and torture inflicted on Jesus and then he tells us of his burial. John has no more interest in event sequence at the end of his gospel than he did at the beginning when Jesus is baptized on the 2nd day and 4 days later goes to a wedding at Cana while the other gospels clearly indicate that after his baptism Jesus went on retreat for 40 days into the desert and did not begin selecting his disciples until after He returned. John is telling us a theological story not describing historical events. Look at the physical evidence and decide for yourself!